Individual skill development is key component to any soccer program. In the video clip below Clinic Rick Moss, Director of Coerver, instructs players during a Ball Mastery drill. His presentation is part of his Covering Performance demonstration at a Glazier Soccer Clinic. Coach Moss is from England and has multiple years of coaching experience with club and youth soccer players. 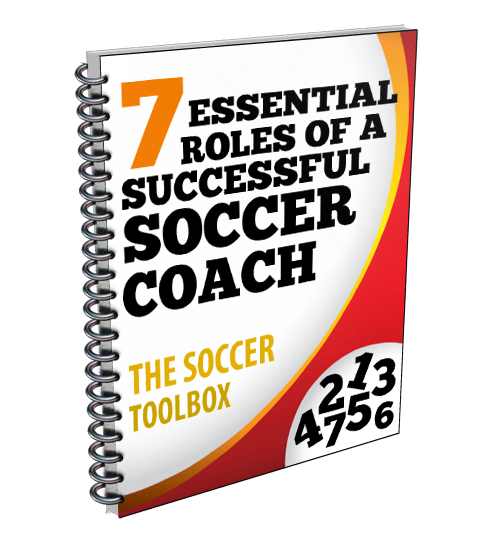 If you are interested in gaining access to Coach Moss’ entire presentation, as well as access to hundreds of other great soccer coaching presentations, click the link Glazier Vault. If you are interested in attending a Glazier Soccer Clinic click HERE, to find one near you. The video clip has sound, so please make sure that your sound is turned on. This drill is set up by making a grid that is approximately 20 yards in length and width. Players are split up into three different groups with each player needing a soccer ball. The first players in each line go together with the second and third players following. Coach Moss demonstrates the dribbling move he wants done and then the players follow working across the grid and stopping on the side before going back across. The ball is pushed out with one foot and then cut back with the same foot. Players need to work on both feet, so switching half way across the grid is important. Short, quick touches should be the goal while keeping close control of the ball. The ball is pushed out with one foot, cut back with the same foot, and then pushed out with the opposite foot in the opposite direction. This is repeated as players move forward going back and forth across the grid. Players should again focus on quick touches with an emphasis on making sure their weak foot is not making mistakes. The ball is pushed out with one foot and then stopped with the same foot to change directions. The same thing is repeated with the opposite foot. Players should try to become comfortable with touching the ball with all sides and surfaces of their feet. This move is important if trying to stop dribbling quickly and change directions to get away from a defender. Great drill for working with feet, dribbling, looking up and many other things all in one.